You can blame it on the plethora of design shows populating your TV screen, or simply a greater emphasis on aesthetics, but there's no denying our city is having something of a design renaissance. With everywhere from Space Furniture to Sydney Antique Centre bustling with homemakers each weekend, busy undertaking renovations, spring cleaning or mass design overhauls. Of course a beautiful home is something worth investing in. Home is where the heart is, and the global financial hardships of recent years have seen people staying indoors in lieu of going out. So whether your style is Mid-Century Modern or minimal, here are our top picks of Sydney's design scene. Even if you’re a lover of all beautiful things to furnish your home and add that final touch, putting it together can be a daunting task. Luckily, all of the staff at BoConcept are qualified interior designers and can assist you with any of your queries. Want the full service? These guys can come to your home and learn about your life and style, do up some customised drawings, and have your home looking better than you could ever have imagined. You can find stores in Crows Nest and Moore Park. A warning: once you enter this magical land, be prepared to get lost in a world of dream homes. 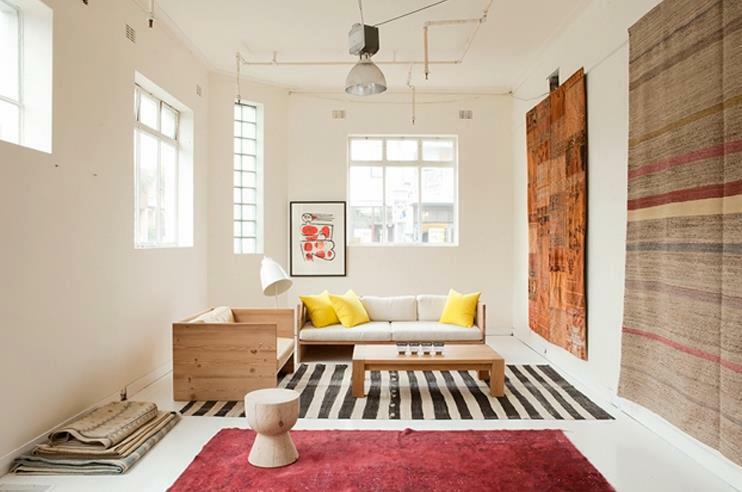 Although Mitchell Road Antique & Design Centre no longer conducts weekly live auctions, this sprawling multi-story site in Alexandria is still a goldmine of antique furniture and homewares, with a particularly extensive collection of Mid-Century Modern pieces. Though it's tempting to leisurely browse on the weekend, you'd be wise to visit on a weekday morning so as to claim the best pieces before the crowds. It may have space in its name, and the furniture here is indeed modern, but there is no question the collection is designed for the home. Having recently celebrated 20 years in business, Space is a local stockist of popular international design brands; such as Kartell, Zanotta, B&B Italia and Maxalto, making it a go-to for design-savvy shoppers. While not technically a shop, artist Lisa Cooper of Doctor Cooper Studio is one of the most talented florists currently working in Australia. Cooper has recently undertaken major works for the Sydney Theatre Company, The Australian Ballet and fashion designer Toni Maticevski. Don't be scared off by the sheer scale of these events—Doctor Cooper maintains services for homes and businesses alike and possesses strong relationships with Sydney's best flower growers. Cooper will create the most beautiful bunches of flora to be sent as a thank you, congratulatory note or just for your coffee table. Chee Soon & Fitzgerald is known for its beautiful furnishings, such as bespoke fabrics, but it's the dinner and glassware of Dibbern that has us going back. Look out for the German brand's range of coloured-glass stemless wineglasses. There's a famous quote by writer and film director John Waters "If you go home with somebody, and they don't have books, don't f*** 'em!". The printed word is experiencing something of a revival, as we slowly return to the handcrafted over the digital, and leading that trend is beautifully published fine arts books. Ariel Booksellers, with locations in Paddington and The Rocks, stocks an extensive range of photography, fashion, art and design books, which are not only beautiful to flick through but also on display in the home. It's a small drive from the city, but if you're spending the day on the Northern Beaches then be sure to stop by Mark Tuckey at Newport Beach. A bespoke furniture company with a slight Mid-Century style, Tuckey only uses timber from sustainably managed forestry sources and designs furniture to last, such is the classic style of his designs. 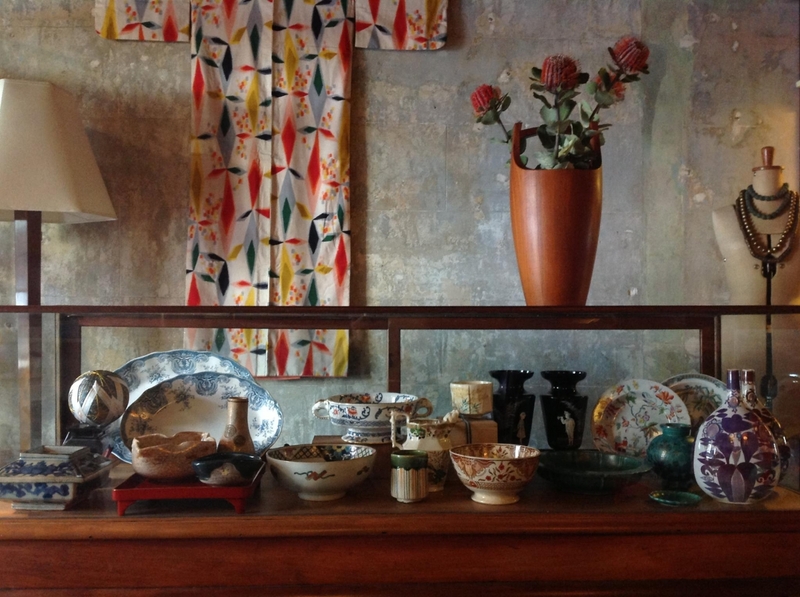 Also at the Newport showroom, is a range of beautiful and unique homewares. It's off Victoria Street running through Potts Point, but those in the know are always dropping into boutique home and gift store Becker Minty, which stocks jewellery, clothing, furniture, art and home furnishings sourced from around the world. Often items are one of a kind, ensuring a true boutique experience. Sign up to the store's mailing list to hear all about Becker Minty's special nights and art exhibitions.